San Miguel de Abona covers a number of villages and tourist resorts in the south of Tenerife, including San Miguel, Aldea Blanca, Las Chafiras, Golf del Sur and Amarilla Golf. If you want a true taste of traditional Tenerife, look no further than the main town of San Miguel. Located inland, this small Canarian village is a wonderful place to spend a day and discover how Tenerife was before mass tourism took over. Here you’ll find loads on traditional-style buildings, a handful of museums, a few shops and plenty of bars and restaurants serving authentic Canarian food and drinks. Just south of San Miguel, Aldea Blanca and Las Chafiras are mainly residential areas which offer little more than numerous housing complexes, with one exciting exception. Aldea Blanca is home to the San Miguel Castle which hosts an amazing medieval evening show several times each week. With knights in shining armour, royal horses and plenty of jousting, this attraction is a hit with visitors of all ages. Golf del Sur and Amarilla Golf are both known for their fabulous golf courses and accompanying club houses which offer a wealth of facilities and services. These golf courses are a must for any golf enthusiast and provide amazing sea and mountain views. Amarilla Golf is the quieter of the two resorts, with most of the activity centred on the few bars and restaurants located in the centre, toward the coast. 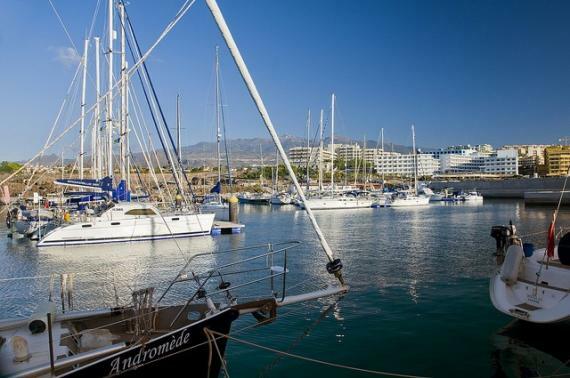 In addition to this small nightlife scene, this resort also boasts a stylish harbour and a very pleasant coastal walk. Golf del Sur is slightly larger, younger and more lively than the neighbouring Amarilla Golf and therefore attracts more holidaymakers. Although there are a few bars and restaurants peppered throughout the resort, most of the nightlife can be found at the top and middle squares in San Blas. Here you’ll find a great number of shops, cafes, bars and restaurants, as well as nightly entertainment. San Miguel de Abona offers a diverse array of things to see and do, with something for every traveller. San Miguel is a fantastic place to stay if you want a laid-back authentic Canarian experience, whereas Golf del Sur and Amarilla Golf are more suitable for visitors looking for a quiet holiday with plenty of golfing opportunities and family-friendly nightlife. Find information about selected Hotels, apartments and rooms in San Miguel de Abona to choose the perfect place for your accommodation.